On February 9, years of hard work will culminate in the opening of the 2018 Winter Olympics in PyeongChang, South Korea. A month later, on March 8, the 2018 Winter Paralympics will continue to bring excitement to PyeongChang. 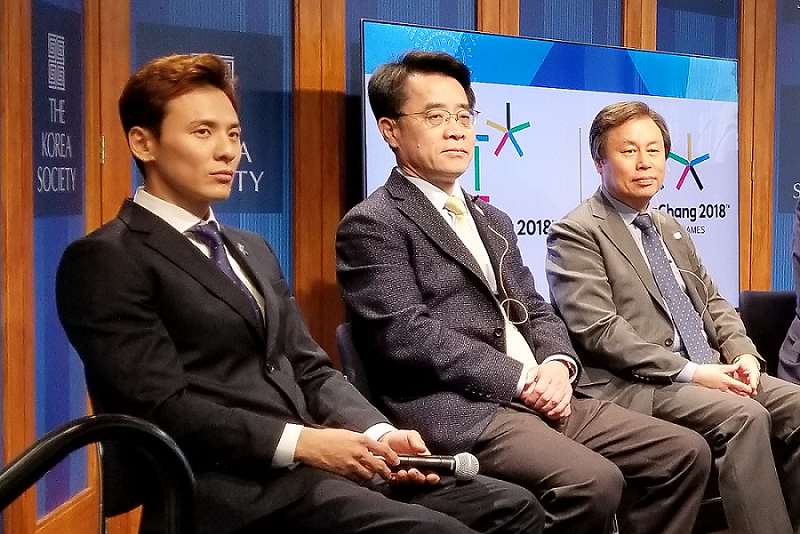 At a recent event organized by The Korea Society in New York, Korean Kontext host Jenna Gibson was able to speak briefly with Jung Seung-Hwan, one of the stars of the South Korean Para Ice Hockey team. They discusses his background in ice sledge hockey (now known as para ice hockey), his goals for PyeongChang, and how he got the nickname "Rocketman."